Quick advice and tips for the youth leader on how to handle unplanned pregnancy and teen moms in your outreach program. If a teen in your youth group program got pregnant, viagra sale cialis would you know what to do? Or, would you be frozen like a deer in headlights? Considering that teen pregnancy is as high as one out of three teens in some neighborhoods, there is a good chance teen pregnancy will impact your youth program or those involved in your outreach. Make sure you don’t end up religious roadkill, take this Youth Leader pregnancy test. 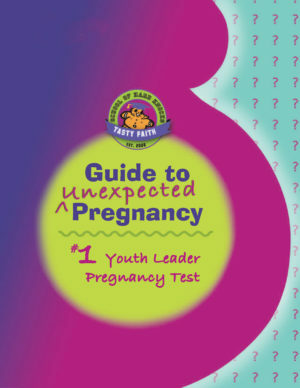 It’s full of quick advice and tips on how to handle unplanned pregnancy and teen moms in your outreach program.